Wacky and Unique Wedding Cake Toppers That You and Your Guests Will Love! If you’ve been bitten by the personalization bug and look forward to having every little detail of your wedding customized, including your wedding cake – guess who just heard your prayers?! Yes! 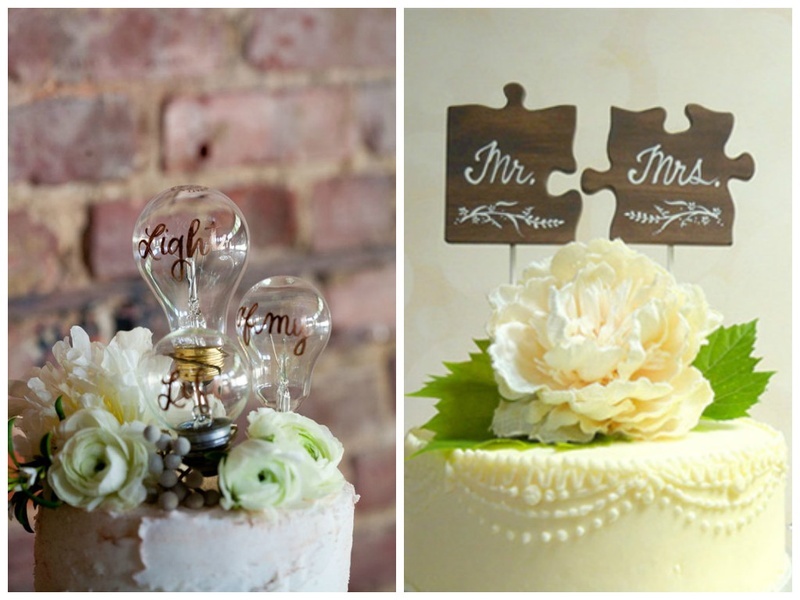 Today we’re highlighting one of the most easily forgotten and underrated element of weddings, which are cake toppers. Though cake cutting is not that a major part or ceremony in traditional Hindu wedding, Christian weddings begin their reception only after the couple entry and raising the toast. However, slowly Indain weddings too are adopting the concept of west and now cake cutting at engagement, sangeet or cocktail parties seems to be the natural way to kick-start celebrations. Along with having a customized cake for your wedding (which is trending), if you wish to personalize your cake toppers too - we’ve got some wacky and unique wedding cake toppers that you and your guests will not take your eyes off! Oh and BTW, these cake toppers double up to be your lovely wedding keepsake too. Take a look. Have a 2 States Kinda Love Story?! Or Found the Key to your Heart?! Lastly, this we just couldn’t resist including in the list.